The winners of the 2018 Arnold Dancesport Challenge! Welcome back from spring break, Arnold Champions!! 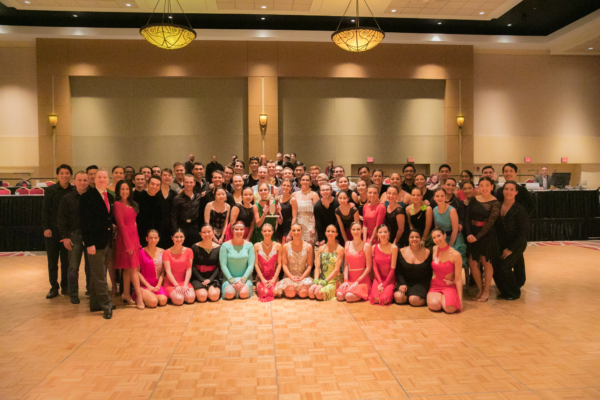 The competition from CMU was really fierce this weekend, but everyone stepped up and we prevailed yet again as the uncontested champions of the Arnold Dancesport Classic. But the season’s not over yet, because Michcomp is right around the corner! We’re still ramping up until the big day on March 24th, with over $1,100 of our $2,000 fundraising goal met! To hit our goal, tell your friends/family about how their donation can make a huge impact in helping us throw an awesome comp, either through direct donation or by buying a shout-out. Shout-outs are a fun, easy way to support our dancers and entire team, and is always exciting for team members to find messages of support in the program. Link to get a shout-out is here. Lastly, Michcomp is not possible without the wonderful dancers of all other schools coming to visit, and they need a place to stay! Even if you can only house one or two people, every spot makes a difference. Sign ups for housing are here. 9-11pm: Newcomer review lesson w/ Josh and Lizzy! Location: Intramural Sports Building, Multipurpose Room A. 9pm-11pm: Guided practice. Come with your specific questions about things you want to learn, or have one of us give you some things to practice before Michcomp! (feat. Saharsh/Elana + Me/Lizzie) Location: Intramural Sports Building, Multipurpose Room A. Hang out with your Ballroom Buddy! !